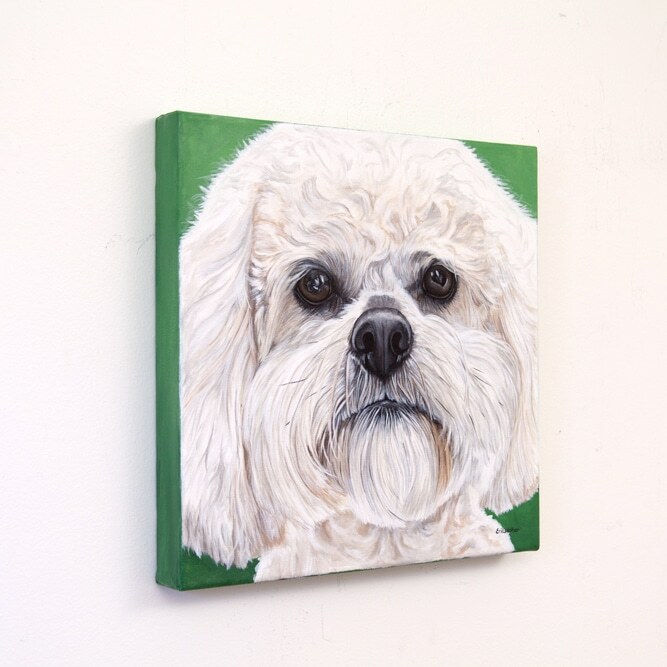 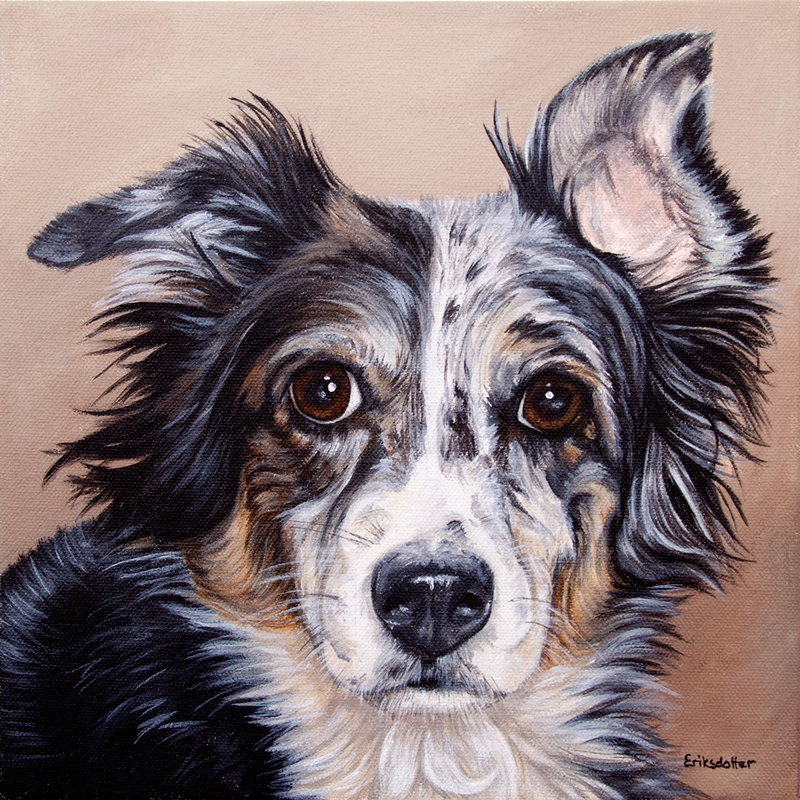 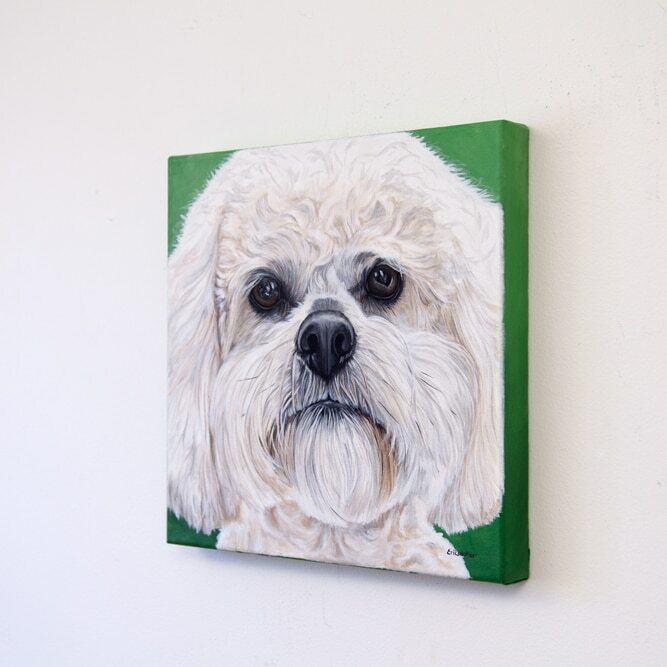 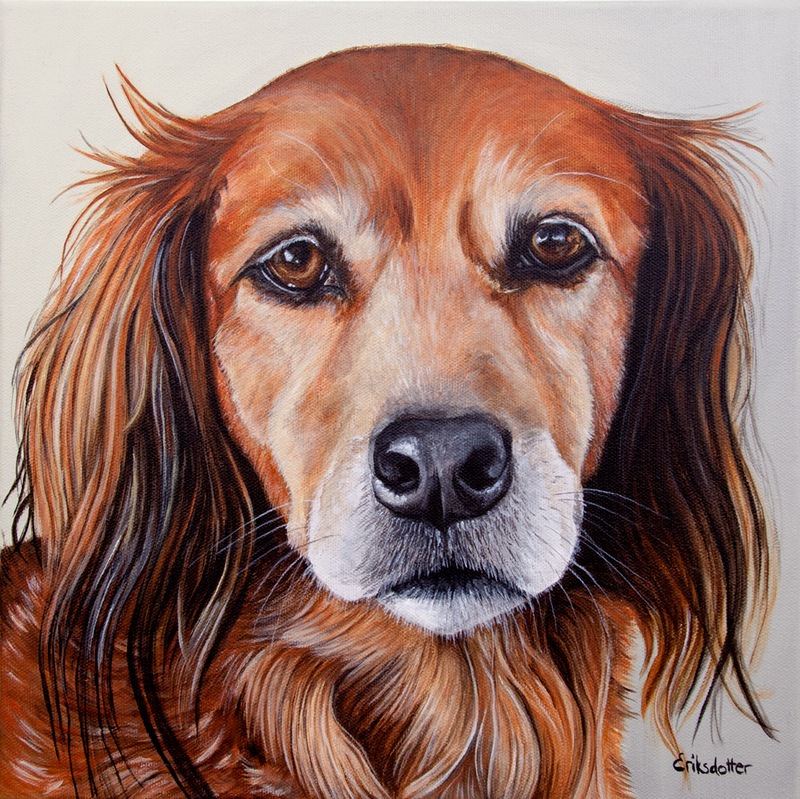 Boomer’s portrait is an original painting commissioned by a client in Virginia who commissioned three portraits to hang in his living room. 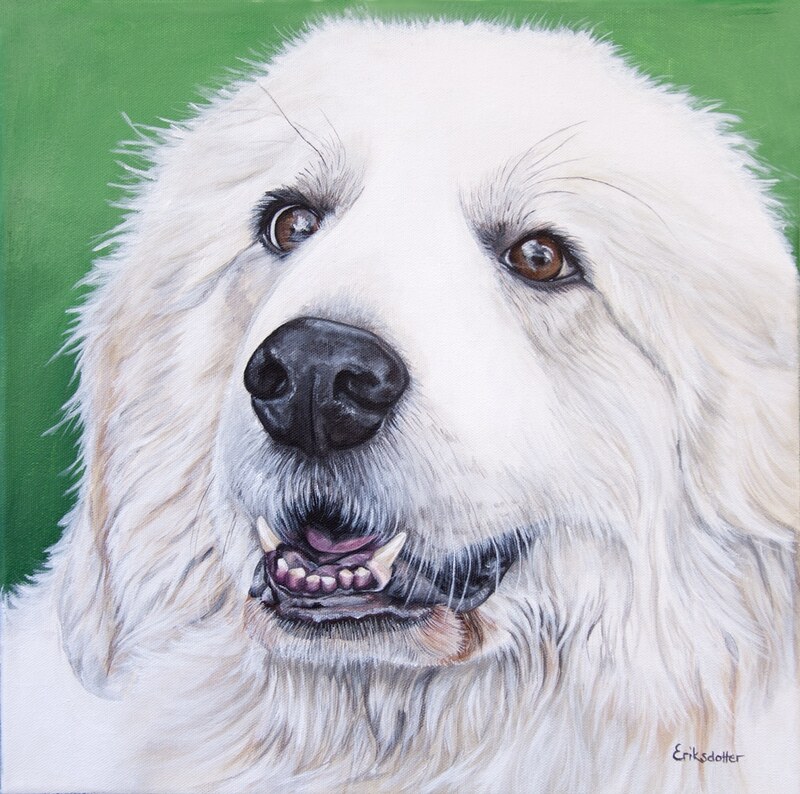 The other two portraits are of Lexie and Sugar Bear. 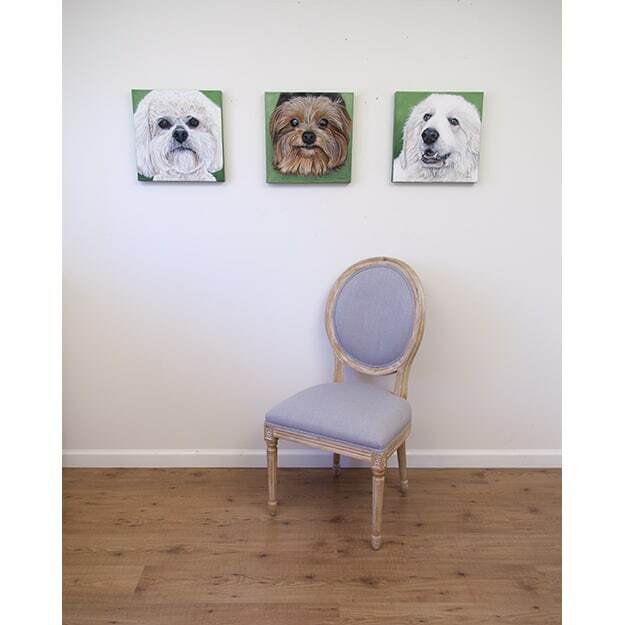 The three paintings were painted with a unified look and feel. 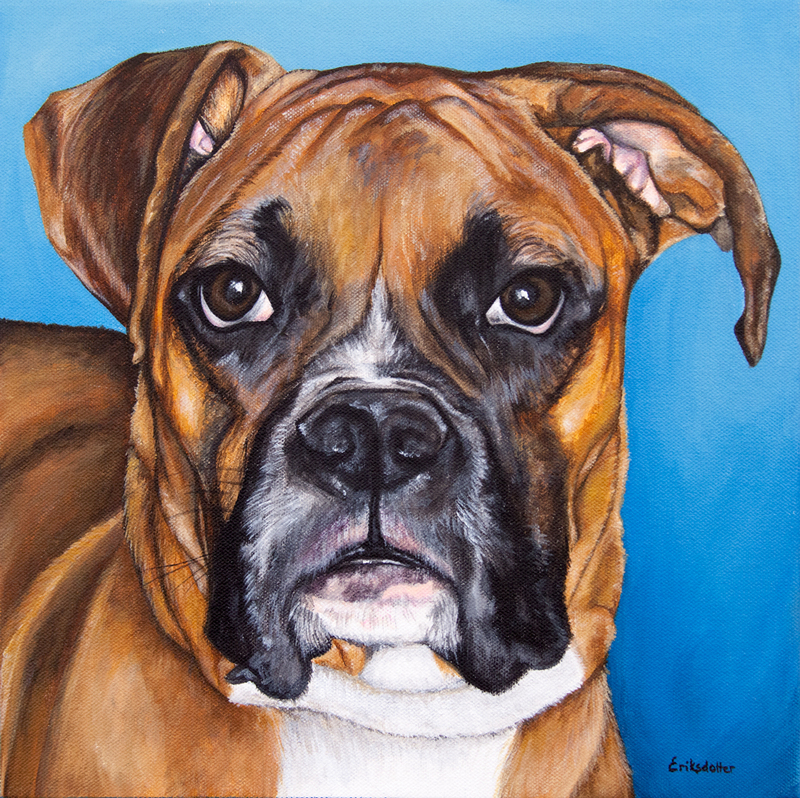 – J.G. 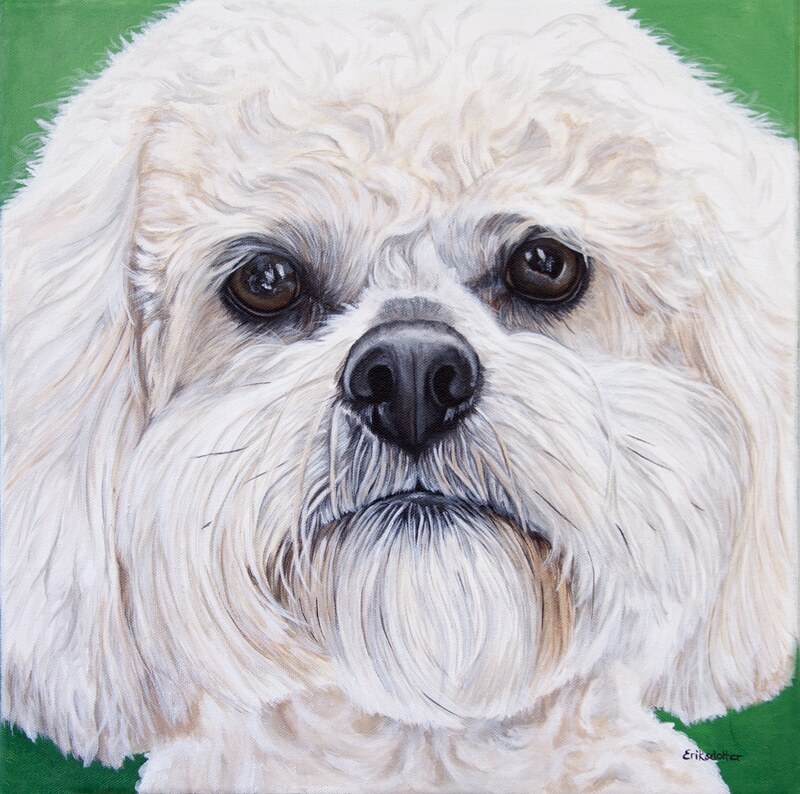 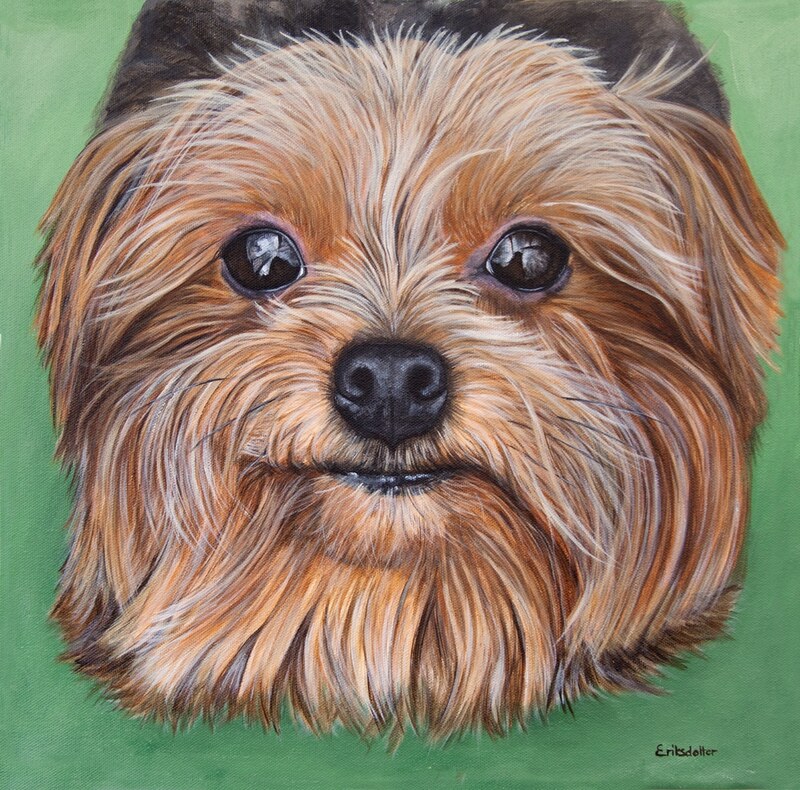 of Virginia, repeat customer who’s commissioned Boomer, Lexie and Sugar Bear’s pet portraits.